When can I watch WW2 Treasure Hunters on HISTORY? What is WW2 Treasure Hunters about? WW2 Treasure Hunters follows the work of detectorist Steven Taylor and Madness frontman as they team up to uncover historical artefacts across the UK. While expert Steven unearths hidden treasures, Suggs meets with survivors and historians to learn exactly what these items were used for during the war. Read our review of the first episode here. Who are the experts in WW2 Treasure Hunters? Steven Taylor is a detectorist who has spent twenty years searching for Second World War artefacts, building an impressive personal collection and a remarkable knowledge of the period. He is also chairman of the WW2 Relic Retrieval & Preservation Group, which organises digs around the UK. 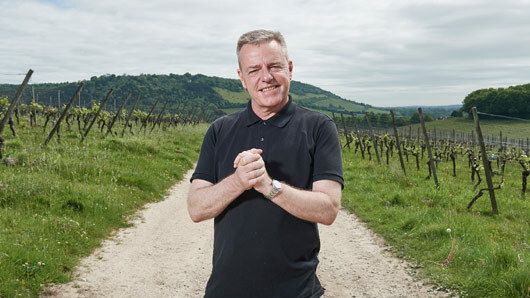 Suggs is best known as the frontman of English pop band Madness, who rose to prominence in the late 1970s. Madness has sold over 10 million albums and 15 million singles. They still perform all over the world to this day. The full series is eight episodes long and is currently airing on HISTORY. When and where can I watch WW2 Treasure Hunters ? 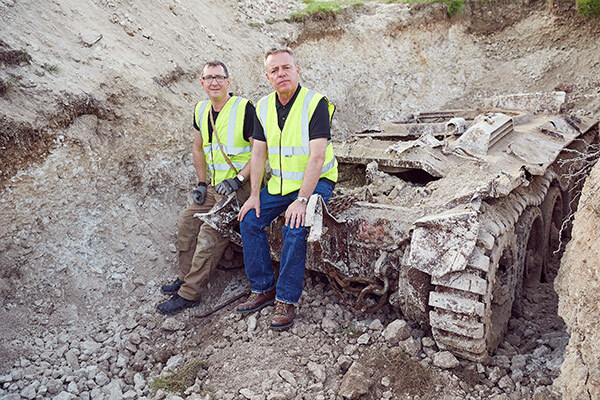 WW2 Treasure Hunters airs Mondays on HISTORY (Sky 529, Virgin 270, BT 327) at 9pm.